LATEST magicJack FEATURE!!! International Speed Dialing! 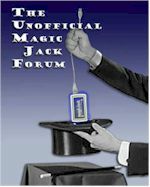 Posted: Sat May 19, 2012 10:53 pm Post subject: LATEST magicJack FEATURE!!! International Speed Dialing!